I recently added the limited edition Topaz Mosaic to my stash, and it's a bright, beautiful, golden addition indeed. It's a bit of an odd duck for a spring release, running warmer and deeper than I would expect. Aside from the glorious punch of yellow, which is decidedly cheerful and summery, I would have pegged this palette for a fall release. Since I tend to lean toward those kind of colors, I'm not complaining, just noting. However, paired with the teal nail polish and eyeliner also featured in the Topaz Pure Color Spring 2012 collection, the colors work together to evoke a feeling that is most welcome in the January dreariness. They look pretty enough in the palette, but they really come alive when applied. Swatched clockwise from bottom left. The finishes on these are all termed 'satin' by EL, aside from the shade on the bottom left, which is called 'metallic'. I don't know that I would consider it a metallic, but it does have visible shimmer, almost a micro-glitter. (I didn't get any fall-out from this though.) 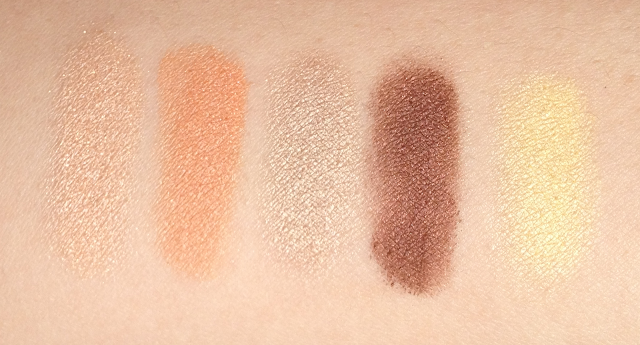 As you can see from the sunlit picture, the others have a lovely sheen, but no shimmer. This is probably my favorite kind of finish, as it has enough glow to have depth and life in the lids, but remains flattering on more mature skin. 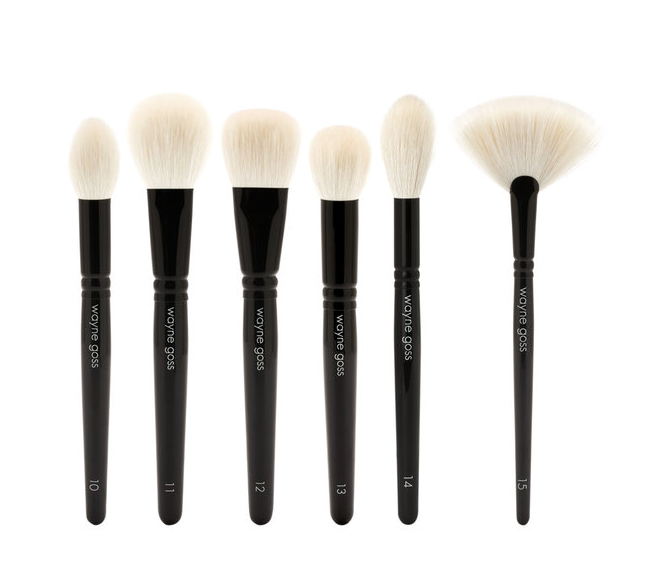 They are all quite soft and dense, and with a medium level of pigmentation. 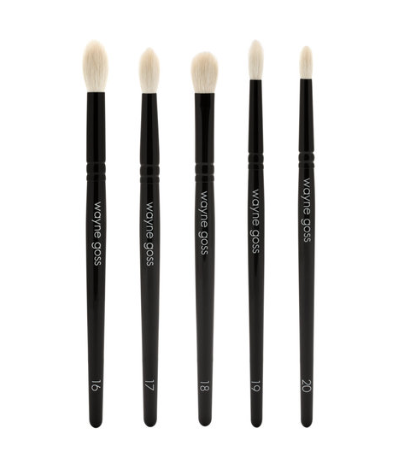 I wouldn't call these buttery, as the texture is just a shade too dry for that, but they are very, very easy to work with. They blend well with each other without becoming muddy. I think the yellow has the sheerest pigmentation, but it's buildable and works perfectly if you're using it to highlight the inner corner, for example. (Tom Pecheux has used it in far more dramatic ways on the runway, I'm sure.) And it's just such a great color, like baby chicks! I really love the color choices in this palette - a shimmery beige with warm undertones, a soft apricot, a light neutral taupe-beige, a medium reddish brown that I would call 'sherry', and a soft canary yellow. The neutrals work perfectly together for a work-appropriate look, and then that punch of sunset colors to brighten things up. 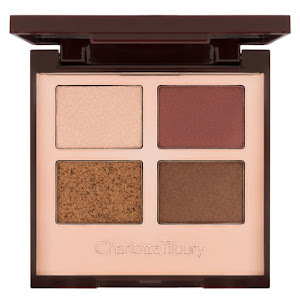 This palette is warm-toned, but I think it can work with all but the coolest of colorings, and would looks especially stunning on blue-eyed blonds or redheads. 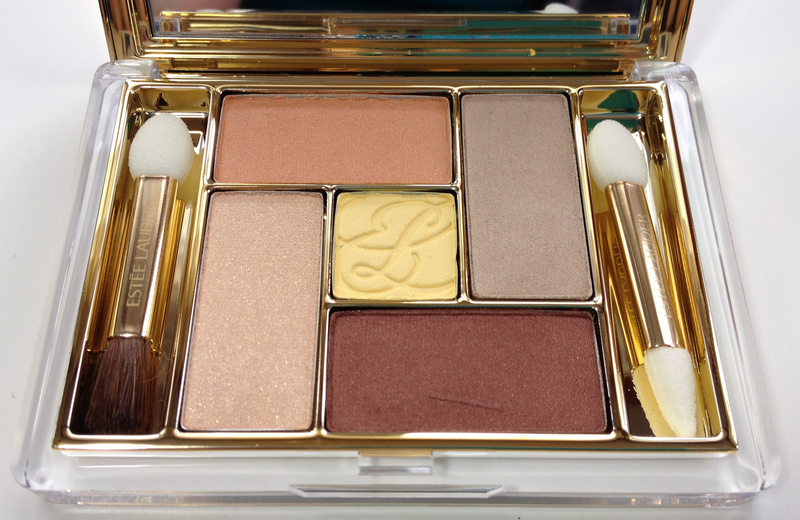 Availability: Estée Lauder counters at most major department stores. 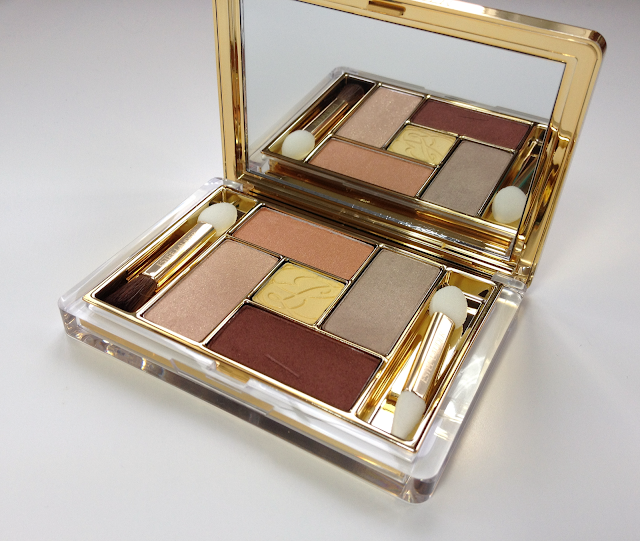 They are moving fast, though not as fast as the Topaz Chameleon powder (which I reviewed here). Last I checked, the counter at Fairview in Pointe-Claire still had a few. Price is 48.50$ CAD. Pros: Great texture, easy to blend and build from subtle to not. Colors well-balanced, well-edited warm/neutral palette. Elegant packaging. 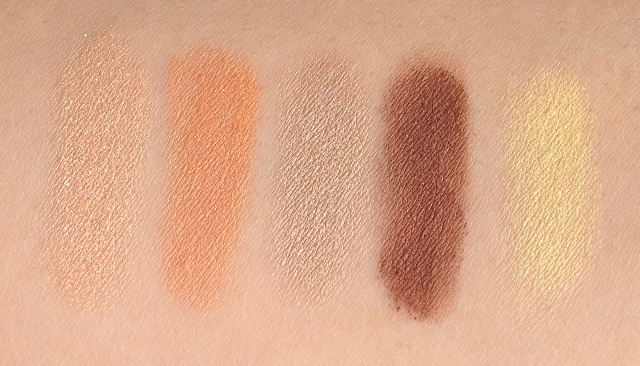 Cons: Pigmentation might lack the oomph some prefer, and color may run too warm for the particularly cool-toned. Aside from the yellow, most of these shades are dupable if you already have a substantial collection.